Thank you to everyone who attended! Remarks and presentation materials are provided here courtesy of the speakers. Click here to read the bios of the speakers. **12:20: Panel Discussion - The Latest Tools & Trends: **What’s really driving reshoring? What should companies consider?What tools does the federal government offer? **1:20: A Conversation with Walmart’s Michelle Gloeckler: **Learn about Walmart’s commitment to work with suppliers to reshore manufacturing. **1:50: Panel Discussion - The Economic Development Perspective: **What are state and local governments doing to attract investment and promote reshoring? **3:30: Panel Discussion - Making the Move: **What do socks, Tinker Toys, IT services, and streetcars all have in common? Then can be reshored - find out how it was done. 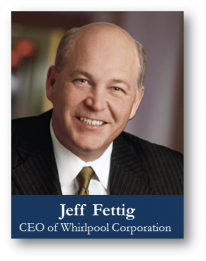 We were thrilled to have Mr. Jeff Fettig, CEO of Whirlpool, joining us to share his experience with reshoring. Eighty percent of Whirlpool products on the U.S. market are made right here in the United States. Nowhere is this more evident than Clyde, Ohio – home to the largest washing machine factory in the world. Whirlpool recently announced that it would move the production of a line of front-load commercial washers from abroad to Clyde, adding new jobs locally. This is just the latest in a series of investments that the company has been making across the country. 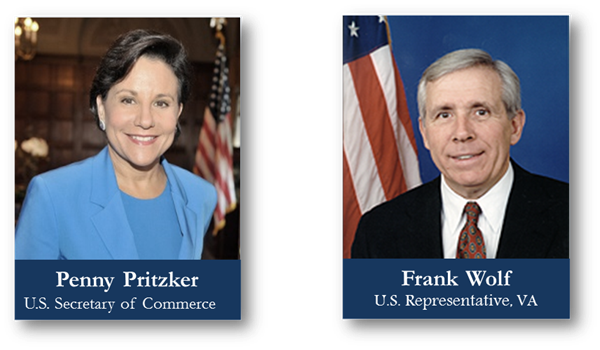 The SelectUSA Summer Forum also featured remarks by co-hosts Secretary of Commerce, Penny Pritzker and U.S. Representative, Frank Wolf.